Live bait isn’t always an option. Thankfully there are many artificial baits out there to choose from. Lures are made from metal, plastic, feathers, hair, foam, rubber… you name it. Choosing a lure plays a large role in catching that fish. Pick a lure that mimics something the fish feed on like insects, crawfish, or minnows. There are many different styles of crankbaits all with different characteristics. A basic crankbait has a hard plastic, wood, or metal body that “swims” when you reel it in. Some have a lip, some don’t. A general rule to go by is, the bigger the lip, the further it will dive. Some crankbaits are meant to be retrieved steadily, some are meant to be jerked, and others float. A shallow diving crankbait will swim down just a few feet to catch the attention of fish that are suspended or near the surface. A deep diving bait can bounce off of the bottom and stir up the water to attract fish. Some crankbaits have a rattle inside to attract fish via sound and vibration. Crankbaits typically have treble hooks that do a good job hooking into things. Be careful fishing around brush, submerged wood, or weeds because it can get snagged rather easily. Soft plastic lures include anything from creature baits like lizards, to straight rubber sticks that resemble worms. The advantage that a soft plastic has over a hard plastic bait is that it has a more lifelike movement in the water. Some of the baits have twisting tails while others might just dart around in the water in erratic fashion. 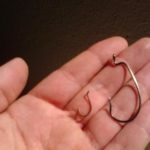 There are many different ways to fish a soft plastic lure but one very common way is a Texas rig where the front of the bait is weighted and is bounced along the bottom. A very popular lure is the spinner bait. 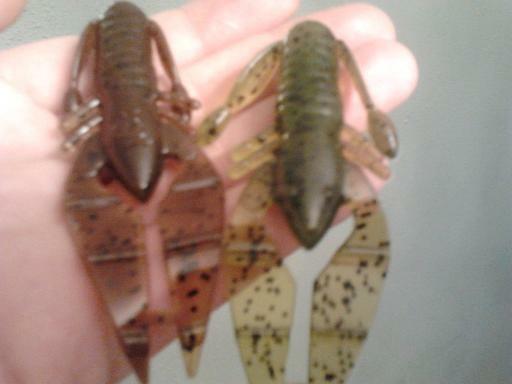 Spinner baits come in all shapes, colors, and sizes. Some spinners are in-line, some have one blade, some have two. The shapes and colors of the blades vary as well. These lures are designed to flash and twirl while in the water. The flashing and vibration are what attract the fish to this bait. Trailer hooks, twister tails, tubes, and many other extras can be added to the hooks to entice more fish. This lure can cover a lot of water very quickly as it is basically cast out and reeled back in at different speeds. Another popular lure that is fairly easy to fish is a jig. They come in many shapes and sizes. Some have twisty tails, while others have feathers or metal fins. They might resemble a fish, an insect, or just any odd critter. Jigs are typically fished by bouncing them off the bottom and over structure. Jigs and spoons can also be fished vertically by lifting them up and letting them fall again. They can also be tipped with live bait to entice a local fish. Jigs can be used to catch anything from sunfish and crappie to stripers and bass. When you don’t seem to be getting any bites on anything else, try a small jig and see what is around.